In this post, I have presented seven interesting players from the Nigeria Professional Football League. Together with star striker Abdulrahman Bashir, team captain Fade Adebayo is arguably the most important player at ABS FC. Adebayo is usually found at centre-back or defensive midfield, but he can also play in a more attacking role due to his fine ball control. Adebayo is also known for dangerous free-kicks, although his last league goal was more than two years ago. The full name of Adebayo is “Moronfade Christian Adebayo”. Adebayo is most likely between 22 and 24 years old. Razaq Adegbite is a talented striker who has been described as powerful, hard-working, quick and good in the air. Adegbite was sensational for Rangers International FC during the first part of the Nigeria Premier League 2012. Adegbite joined Enyimba FC during the mid-season transfer window, which turned out to be an unsuccessful stint. Adegbite is now back at Rangers International FC but has been somewhat of a fringe player during the first third of the season. After a couple of seasons as a fringe player, Alaba Adeniyi is about to become an established player at Sunshine Stars FC. The young left winger has been described as a fast player with nice pullouts. On 17.04.2013, Adeniyi scored his first top level goal against Lobi Stars FC. From my point of view, Olamide Lateef Adigun is one of the unsung heroes at Shooting Stars FC. The rugged central defender has been a consistent performer for several seasons. Adigun is also one of few 3SC-players left from the team that won promotion back in 2008-2009. Adigun has played eight or nine matches during the Nigeria Professional Football League 2013. Adigun is most likely between 22 and 24 years old. Chima Akas is arguably one of the most interesting left-backs in the Nigeria Professional Football League. His left-foot is pure class, often resulting in pin-point crosses and thunderbolt shots. Akas is also well-known for his dangerous free-kicks. Due to his will to attack, Akas is also effective as a left-winger. Akas has been described as an energetic and intelligent player. He has already attracted European clubs and it is no secret that Norwegian club SK Brann is following him closely. At the time of writing, Akas has played eight or nine matches and scored one goal during the on-going season, mot surprisingly a wonderful free-kick. Inyang Asuquo, primarily a left-winger, has shown a lot of promise in his first season at top level of Nigerian football. Asuquo scored seven goals for Nembe City FC during the Nigeria National League 2012 and was a key player for the promotion winning side. After playing a third of the Nigeria Professional Football League 2013 for Nembe City FC, Asuquo decided to join Gombe United FC, traditionally a bigger team in Nigeria, during the first transfer window of the season. On 26.05.2013, playing against Lobi Stars FC, Asuquo scored his first goal for Gombe United FC. A couple of years ago, speedy and hard-working winger Terry Envoh was one of the most promising youngsters in the Nigeria Premier League. Before the current season, after a unsuccessul trial at FC Thun from Switzerland, Envoh decided to join newly promoted Bayelsa United FC. Unfortunately, Envoh has yet to catch any headlines at his new club. 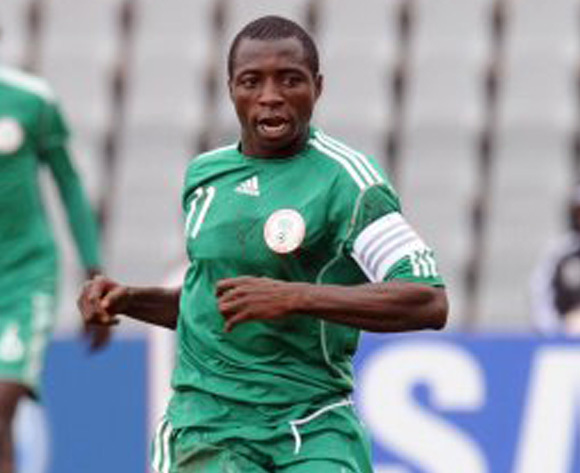 Envoh starred for the Nigeria U-17 national football team during the 2009 FIFA U-17 World Cup in Nigeria. He has also participated for Nigeria B and Nigeria U-20. The picture is of Envoh and was found on MTN Football.